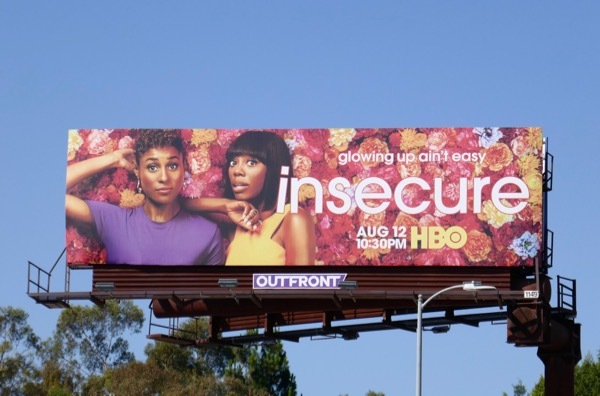 This weekend HBO's Emmy-nominated comedy drama, Insecure, is back for a hella funny third season and these billboards for the all-new episodes are blooming all around L.A.
Snubbed for her debut season, Issa Rae garnered an Emmy nomination for Outstanding Lead Actress in a Comedy Series for the sophomore season as 'Issa Dee' and for the show's third season key art she's sharing the spotlight with Issa's best friend and lawyer 'Molly Carter' (played by Yvonne Orji). 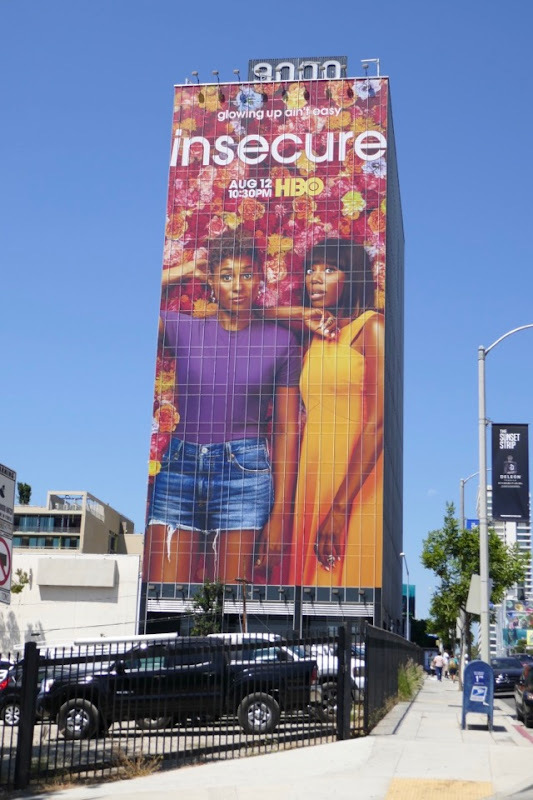 This season the women embark on life in their thirties, replete with career changes, new directions and the usual relationship highs and lows. 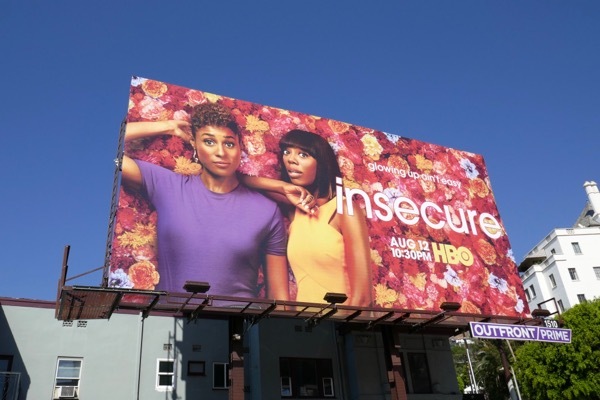 These vibrant season three billboards were photographed along Santa Monica Boulevard, Sunset Boulevard, La Cienega Boulevard and Argyle Avenue from August 1 to August 3, 2018. 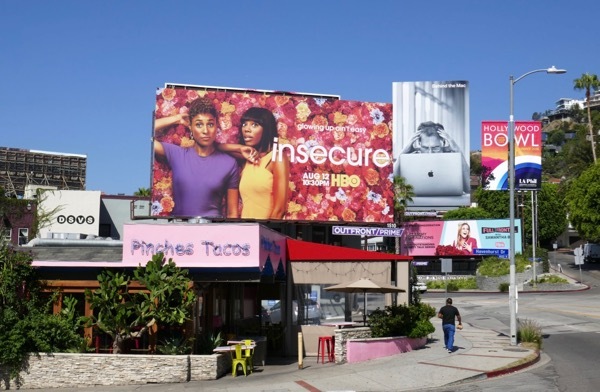 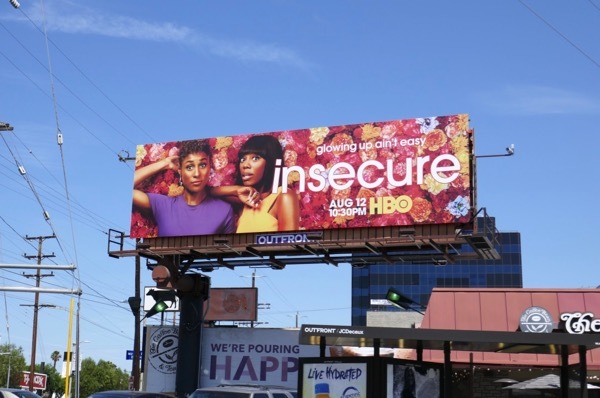 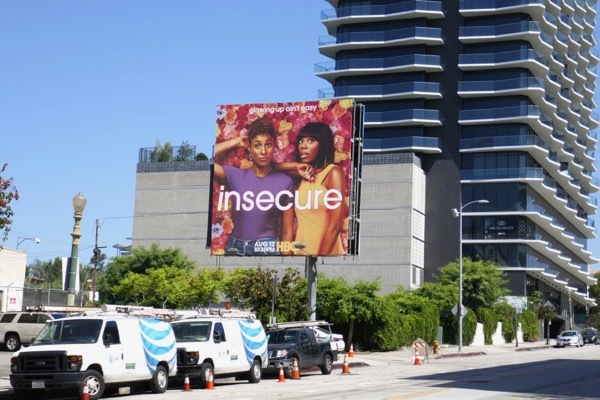 Fans of the HBO series can also enjoy these previous season and awards consideration billboards for Insecure. 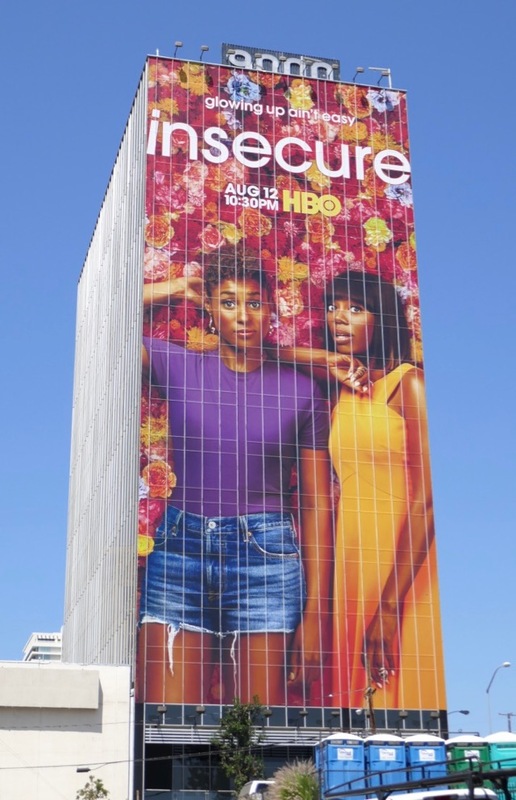 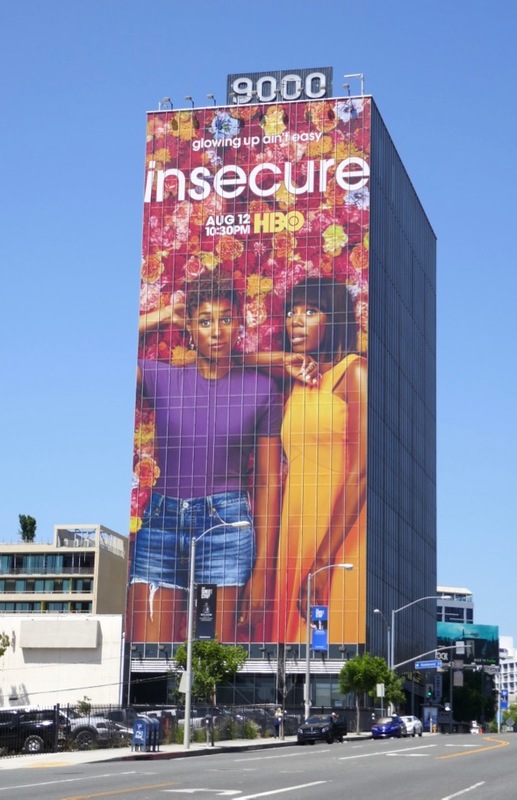 For a show called Insecure, these ladies certainly look bold and confident in the city's summer skyline at the moment. 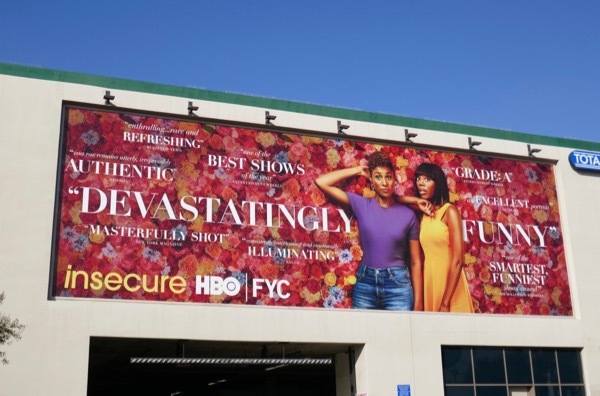 UPDATED: Here's also a 'For your consideration' billboard for the third season snapped along L.A.'s 3rd Street on November 15, 2018, hoping for some Golden Globes or SAG Awards nominations. 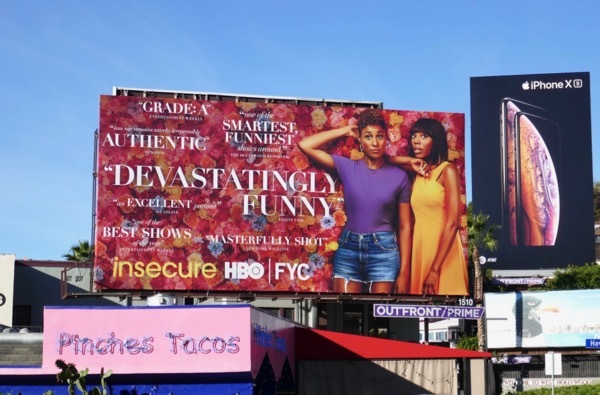 Plus here's another 'Devastatingly funny' example spotted on a day with clearer skies along Hollywood's Bronson Avenue on November 20, 2018. 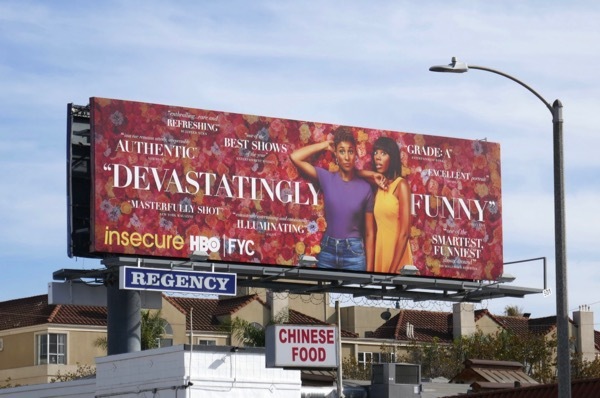 And another of the vibrant FYC billboards spied along the Sunset Strip on December 2, 2018.